Recent research in bridge design and maintenance has focused on the serviceability problems of older bridges with aging joints. The favored solution of integral construction and design has produced bridges with fewer joints and bearings that require less maintenance and deliver increased durability. 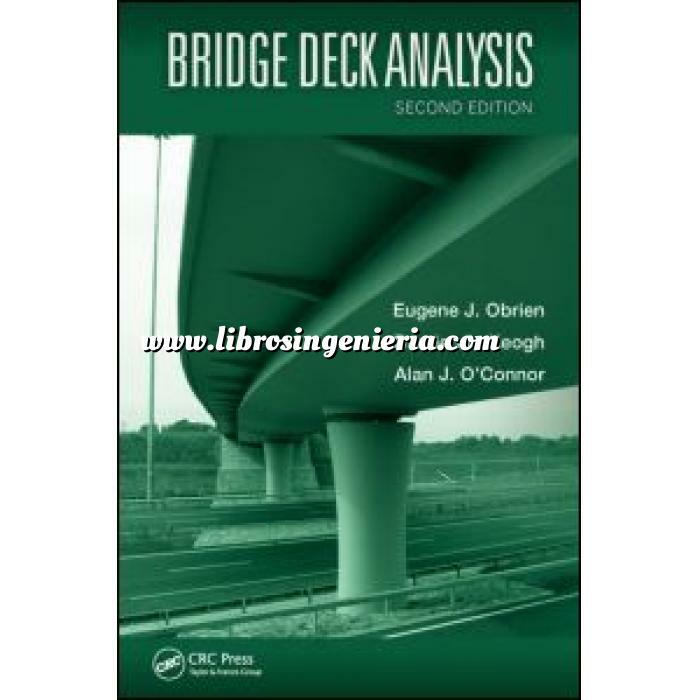 Bridge Deck Analysis, Second Edition outlines this growing development, and covers the structural analysis of most common bridge forms. It introduces reliability analysis, an emergent method that allows bridge engineers to determine risk when maintaining older or damaged bridges. This book includes practical examples of everyday problems in bridge engineering, and presents real-life examples of the application of reliability analysis. The authors show how reliability analysis can determine structural safety even for bridges which have failed a deterministic assessment. They also update other chapters to reflect the most current advancements towards more sophisticated analysis, and the more widespread use of finite element software. An appropriate resource for senior undergraduates taking an advanced course on bridge engineering, Bridge Deck Analysis is also suitable for practicing engineers, and other professionals involved in the development of bridge design.